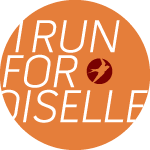 As a Oiselle Ambassador, I've been wanting to try and plan a fun run at a local running store that stocks Oiselle apparel. 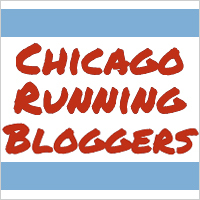 Where I live, the closest store is 30+ minutes away in Naperville at Naperville Running Company (south location). I got in touch with our local sales rep who already had a fun run planned and I made arrangements to attend. 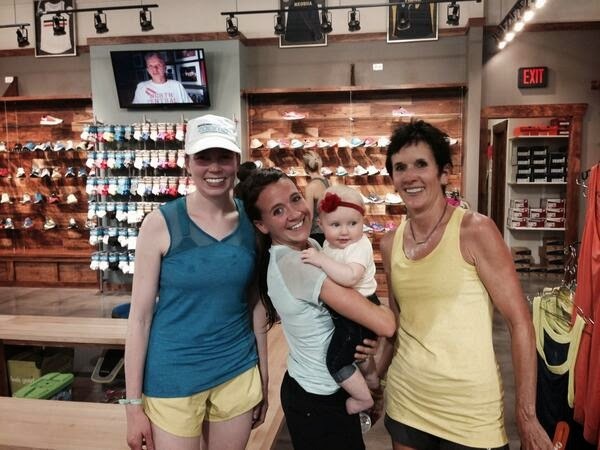 I love being a Oiselle ambassador, but I wish more stores close to me had their apparel. (I guess the sales rep has reached out to lots of local stores and none of them wish to sell the clothes for some strange reason.) Anyways, I left work a little early, stopped at home to get Patsy and headed out. The store was easy to get to so that was nice. I arrived early to grab some water and meet some of the other runners there for the run. Sales rep Cindi and her daughter Marisa were so nice and ran with me and the jogging stroller on the way out. The staff was very helpful with a nice marked path which was great for new runners (which is different than some other running store fun runs that I've been to). Patsy was done with the run sooner than I was so Marisa quickly ran her back to the store while I finished the run. Once Patsy was in someone's arms (versus the stroller), she was happy as could be. Don't mind all the sweat and rain drops! We hung around after the run for a demonstration of the current Oiselle products available as well as what is coming up in the fall. I'm very excited for what is up and coming! I got to munch on some snacks while Patsy ate before getting in the car and heading home. 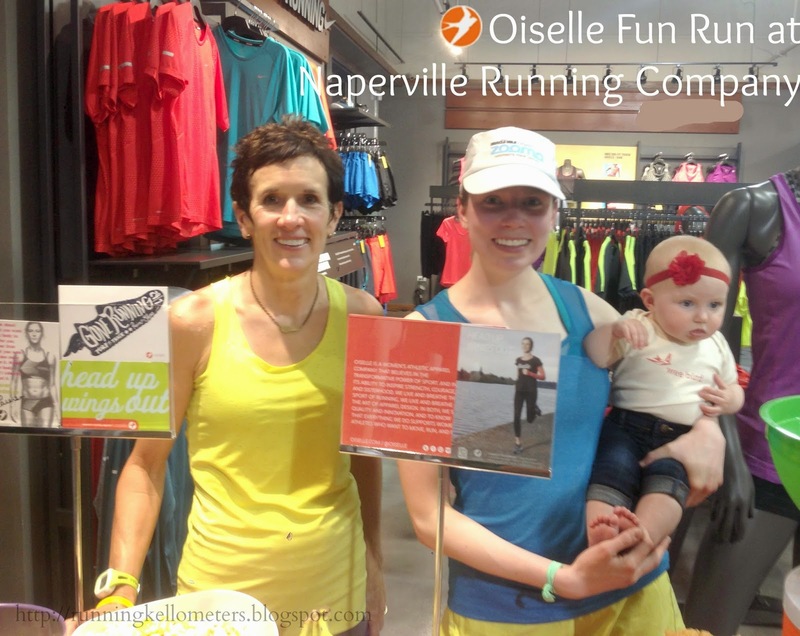 This was my first time at Naperville Running Company and it won't be the last. The staff was helpful, the store was wonderful, and they had a wide variety of merchandise to choose from. I've been there once before because that's where packet pickup for my tri was last year. I will have to make sure to stop there and check out the Oiselle stuff when I'm out that way next time! Sounds like a fun run!! And oh my gosh is she getting so big!! Thanks! I know, I'm overdue for her 8 month update! Awww, Patsy! :) Adorable as always. Glad you had fun!!! Also, I have to say, you seem to be fully adjusted and rocking at being a Mommy! I've been to the store twice and like it. The staff is VERY friendly. I like Oiselle stuff too. Weird that some running stores won't sell it. Hopefully you'll have another fun run planned so i can make it.